Beyoncé, Kelly and Michelle have done it again. On Saturday night, Beyoncé became the first Black woman in history to headline Coachella. 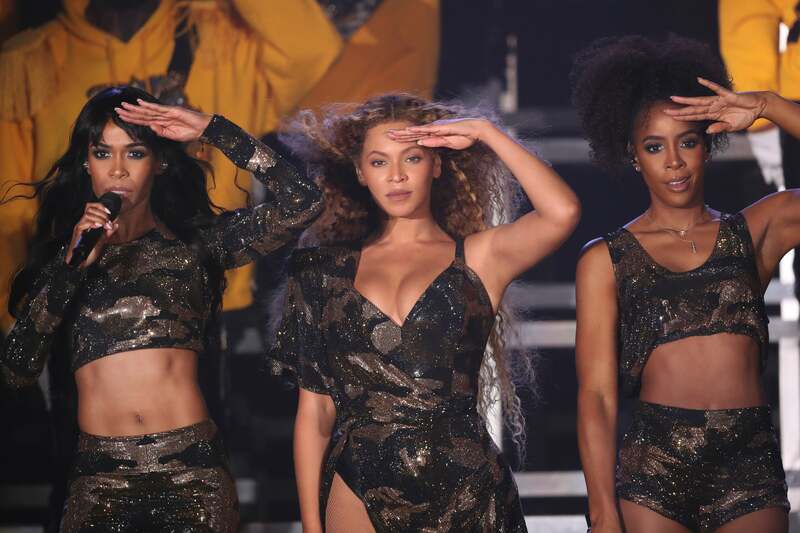 During her history-making performance, Beyoncé had lots of surprises up her sleeve, one of which was reuniting with Kelly Rowland and Michelle Williams for annother Destiny’s Child performance on stage. As fans in the sold-out crowd screamed, the ladies took it back and performed three of their biggest DC hits—“Lose My Breath”, “Say My Name” and “Soldier”. In true Destiny’s Child fashion, the ladies also rocked coordinating sequined outfits and their signature Charlie’s Angels-esque poses to really seal the deal. This was the first time Destiny’s Child performed together on stage since Beyoncé’s 2013 Super Bowl halftime performance. The reunion was the perfect addition to a show that paid tribute to HBCUs, Black womanhood and girl power. During her epic 2-hour set, Beyoncé did not disappoint in the surprise department. She also brought out her husband Jay-Z for a duet to their smash hit “Deja Vu” and danced on stage with her sister, Solange.